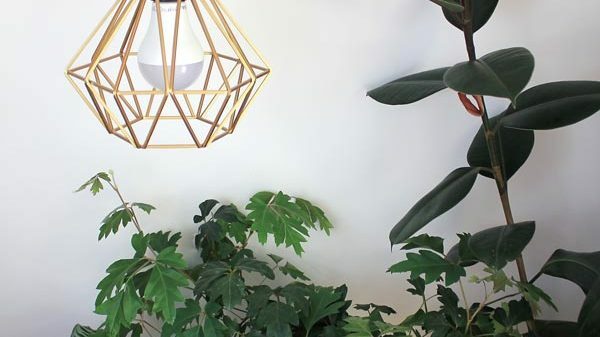 If you’re anything like me, your house is looking lush with indoor plants! But I’ve recently come across a small issue in my plant-parenting: How to water indoor plants on vacation?! While indoor plants are generally low maintenance, I still want to return home to happy and thriving houseplants when I go away. Short of giving someone a key to your house, there are other reliable methods out there of getting your indoor plants watered. Today I wanted to share a method I’ve recently found to automatically water my plants. It is a great indoor watering system that keeps your plants consistently watered for short or long times. It’s using self-watering stakes! Self-watering stakes are usually ceramic or terracotta cone-shaped stakes that sit in the pot of your plant. When the tube running from the cone is connected to a water source (eg a bottle or bucket of water nearby), it waters the plant by using a vacuum effect. When the soil begins to dry out, the water from your source container will be drawn through the tube and soak through the cone. So do self-watering stakes actually work? Sometimes the failure of watering stakes can come down to incorrect use or dodgy products. So in this post I’d like to address both of these things. I’ll explain how to use them correctly and share a high quality yet inexpensive set that has great reviews. Firstly, here’s how to set up the watering system. Before using the watering stakes you’ll need to soak them until they are saturated. Remove the tops off the ceramic cones and completely submerge the cones in a container of water for 15 minutes. You may see tiny bubbles rising during this time, as the cone completely soaks the water up. Once you have done this, screw the top back on the cone while it is still underwater, ensuring that the cone is completely filled with water. Push the watering stake into the soil of the plant, making sure the entire ceramic section of the cone is sitting in the soil. Place the end of the tubing into your nearby water reservoir. Position this water source at the required height for your plant’s needs (see the Q&A section below for more info on this). Also note that generally watering stakes will draw water no more than 12 inches below the cone, so make sure the bottom of your water source is no lower than this. There are a range of self-watering stakes on the market, but they aren’t all created equal! Since the watering system relies on water soaking through the cone, what the cone is made of is vital to their success. I recommend these high quality Blumat Stakes – they have been engineered with this in mind and have great reviews. You can customise the Blumat stakes according to your plants’ water needs, as their technology doesn’t depend on the vacuum transfer of water alone. By also using gravity, they can give more or less water to your plant. This is done by raising or lowering the water source respectively. This ensures your plants won’t be overwatered while you’re away. Blumat stakes are inexpensive but are up there as possibly the best self-watering product on the market. How long do self-watering stakes last? A high quality self-watering stake can water your plant for as long as you need it to – provided you have hooked it up to a large enough water source. How long it lasts will also depend on how much water you want your plant to receive. Self-watering stakes can be used from anywhere between a few days or few weeks. Some people even rely on them for regular watering, simply topping up the water source when needed. 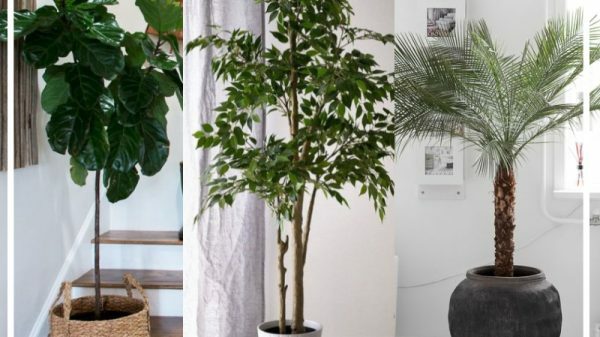 Can self-watering stakes be used on indoor plants? They sure can! In fact, self-watering stakes were made for indoor and undercover plants. There’s no mess and there’s no need to be worried about flooding or damage with a quality set. Where do I position the water source for correct watering? While the stakes work on a vacuum system to keep your plants watered, gravity will also affect how much water they get. Therefore, position the water source higher than the cone to enable more water to flow through. Do this for indoor plants that like to stay on the damper side, such as ferns. Positioning the water source at the same level or lower than the pot and cone, will deliver less water to the plant. This is better for houseplants like cactus and succulents, that prefer a drier environment. You should already know how much water your plants like, remembering that more indoor plants suffer from overwatering than under-watering. How many stakes do I need? Generally you will need one stake per plant. If you have large pot plants, you may need to use a couple to keep the watering up. With a set of five costing around $20, its a reasonable way to keep your plants healthy and watered! What can I use as a water source? Literally anything that holds water! Bottles, bowls, vases, containers… whatever works for you. Wine bottles work well as they lessen evaporation, which is handy if you’re away for a long time. Find what works for you in the space that you have and go with that. How do these compare to the bottle attachment spikes? Bottle attachment spikes limit the amount of water you can leave in the bottle – eg not good for long periods of time. They’re also a bit chunky and clunky, especially in small pots. Bottle-style spikes also give you less control on the watering levels as the bottle remains above the soil and uses more gravity to force water into the pot. This is only good for plants that prefer wet soil. You can have more control on how much water your plants get by using stakes like these with a detached water source. This enables you to change the height of the water source in relation to the plant and still use the stakes for plants that prefer drier conditions (but still need to be watered) like succulents. Can they only be used for plants living in soil? The Blumat stakes specifically can be used for plants living in other materials too, such as bark or pebbles. This is because while most watering systems use a capillary vacuum method, the watering can be altered with these stakes by raising or lowering the water source. If you have a lot of plants, it might benefit you to group them together in regards to their water needs. For example, keep all your cactus and succulents on a windowsill with the water source next to them. You could also group your plants on a couple of steps if you’re using the one large water source. Have less thirsty plants on the upper step and water loving plants on the lower. If you’re using self watering stakes for the first time, try setting them up maybe a week before you leave. This will give you time to check that your plants are getting the right amount of water, and adjust it before you leave. Have any more questions? Leave me a comment below and I’ll get back to you!